Writing about a breakout masterpiece from one of the greatest writers of our time is a challenge, especially when the writer has spoken eloquently about the work in interviews and in the book’s own introduction. 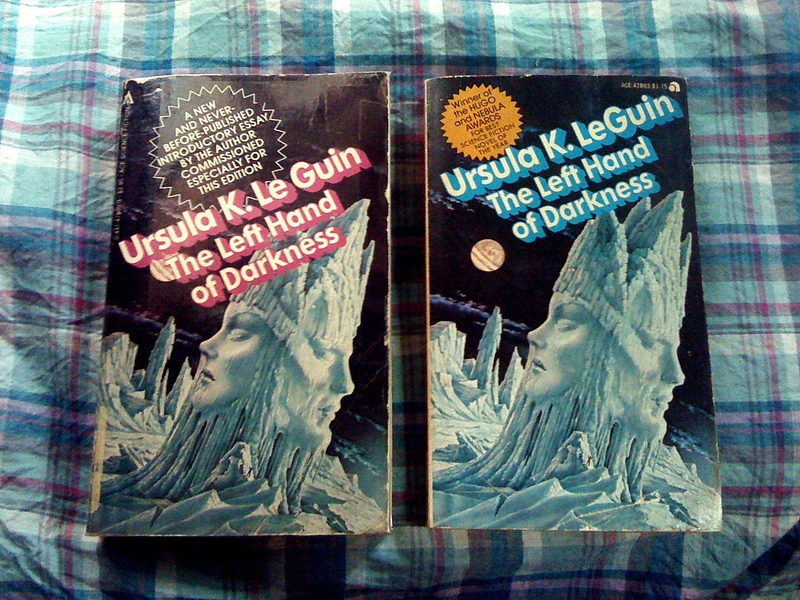 For those who don’t already know, The Left Hand of Darkness, published in 1969 was LeGuin’s thought-experiment, investigating what a genderless world could teach us about equality, otherhood and love. In this future-metaphor, LeGuin uses an amazing conceit, still surprisingly rare among the ranks of science fiction writers, of a planet where gender and sexuality work differently, where everyone is androgynous most of the time, and only become male or female in a monthly version of being in heat, with the gender outcome being at random and up to various factors. Thus anyone can become pregnant, and most people are male sometimes and female other times for sexual purposes, without it becoming an identity. If that’s not fascinating enough, along comes Genly Ai, a male (human standard) envoy from a vastly more advanced culture, soliciting the inhabitants of the planet (Winter) into membership in the advanced culture’s loose interstellar organization. The resulting adventures for Mr. Ai, dilemmas for the people of Winter, and gender-theory strangeness, make for riveting reading. Moreover, few writers have LeGuin’s mastery of the conventions of fantasy. The writer effortlessly establishes the just-industrializing city of Ehernrang, capital of Karhide, and its people, with a kind of alien majesty that’s just disorienting enough. The planet is as far submerged as it could be into winter and still support human life. The love story is profoundly unusual, and the book, one I’m tempted to start again from page one, will be on my “100 Alternative Classics” list for sure.